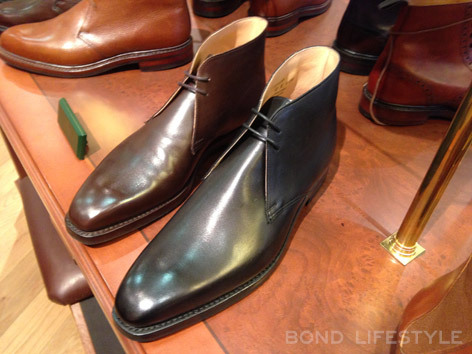 On a crisp Sunday morning in January I am visiting the London flagship boutique of shoe maker Crockett & Jones, the company that provided James Bond's footwear in the movie SkyFall, to get a pair of these high quality shoes. 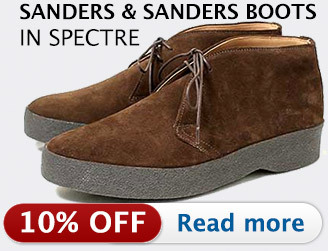 The famous secret agent wears no less than four different pairs of Crockett & Jones shoes in the film and actor Daniel Craig ordered a customised model for himself. 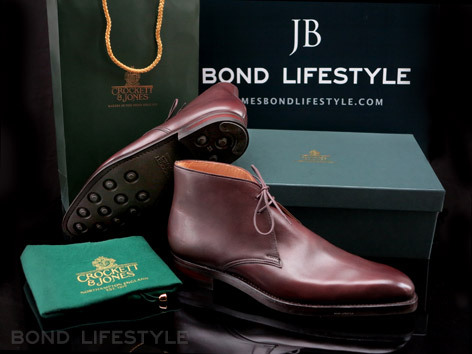 The British shoe company Crockett & Jones is a very appropriate shoe supplier for 007 in SkyFall, a movie that actively promoted Britain and focussed more than usual on Bond's British heritage. 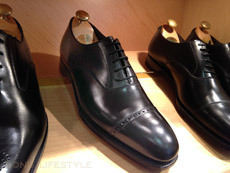 Crockett & Jones was founded in 1879 in Northampton by Charles Jones and his brother-in-law, James Crockett. The company is currently still owned by the Jones family, and all shoes are still produced in Northhampton. In 1997, the first retail shop was opened on Jermyn Street in London, a street where other Bond suppliers are based, including Turnbull & Asser, Floris, Church's, John Lobb and Dunhill. Currently Crockett & Jones has two stores on this street and a few more in London, as well as international stores in Paris, Brussels and New York. The shoes are also still sold via a large network of stockists all around the world. An ever smiling and very helpful store manager Huqstable Mushtaq welcomes me in the flagship store on 92 Jermyn Street. 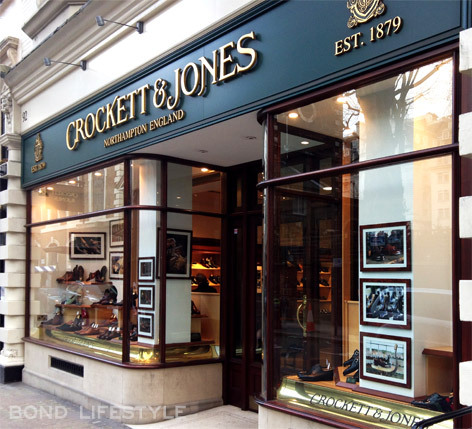 This shop is the largest Crockett & Jones store, showcasing an extensive range of Crockett & Jones shoes for men and women as well as a range of belts and accessories. There is a dedicated area within the shop, featuring a Portland stone fireplace, which houses the ladies collection and is also used for semi-bespoke orders. After a short tour through the shop, we focus our attention on the four shoe models worn by Bond in SkyFall, the Alex, Tetbury, Highbury and Islay. Huqstable tells me the company was honoured to be selected as the footwear supplier for the film. Luckily the factory is used to producing larger quantities of shoes, because the film's costume department needed approximately 25 (!) pairs for each model. The reason so many shoes are needed is that the shoes get damaged during the filming and Daniel Craig's stunt double needs the same shoes. 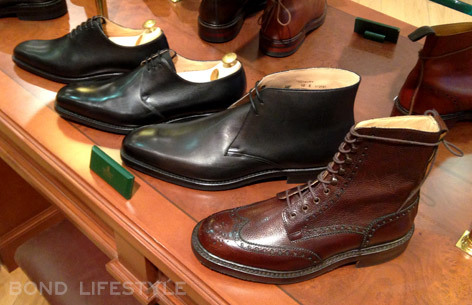 The shop is decorated in rich brown wood and greens, and (mostly men's) shoes are lined up on well lit shelves. We first take a look at the Islay, the full brogue derby boot worn by Bond in the Scotland scenes together with his Barbour jacket, N. Peal pullover and All Saints Iggy trousers. 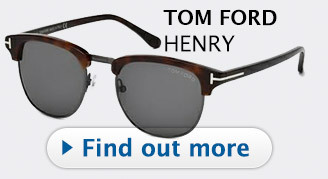 The Islay is available in several colours, Bond wears the dark brown version. 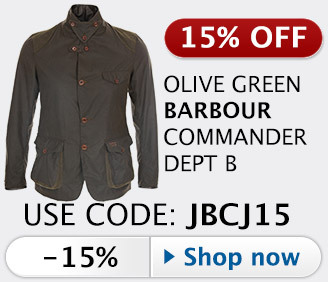 The Islay is the only shoe that Bond wears that's made on C&J's 365 last. The other shoes are all last 348. 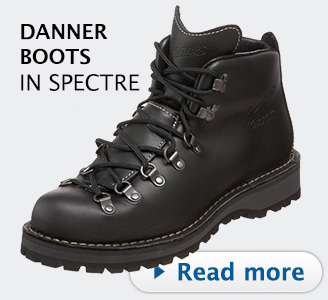 The Islay's are great outdoor shoes especially with the thick Dainite rubber sole. On to the Tetbury, a chukka boot, more subtle than the Islay, with clean design and sharp lines. 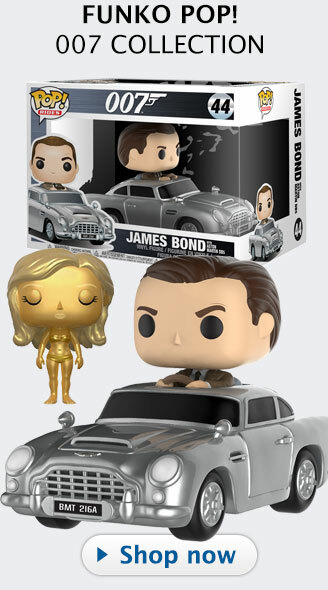 Bond wears black Tetbury's in opening sequence of SkyFall in Turkey, as well as with his Shanghai outfit. The Tetbury is available in brown, black and also a range of suede colours. The Tetbury boot also has the Dainite rubber sole, but at this point it is noted by the store manager that most Crockett & Jones shoe models can be made to order with either leather soles, the Dainite rubber soles, or textured rubber soles (available in a variety of colours) with even more grip than the Dainite. The colour of the leather of the shoe can also be customised to the client's desires. 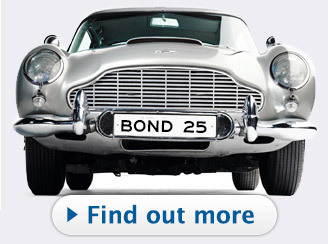 Two more formal shoes worn by Bond are the Highbury and the Alex. The black Alex model with leather soles is the most formal, worn by 007 with his Tom Ford tuxedo in the Floating Dragon Casino in Macau, on the Pruva yacht and on Hashima Island. 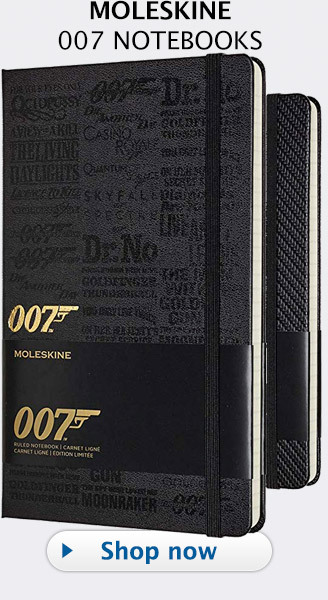 The black leather Highbury derby is worn by Bond in the London scenes, together with his Tom Ford suits and coat. Although I try on several models, I am mostly interested in getting the Tetbury boot, so first the size is determined in the length as well as the width. 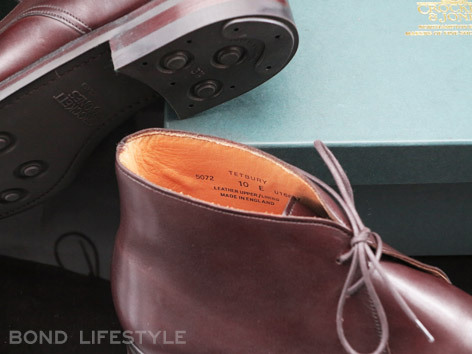 I decide to try on a size 10 and ask for the Tetbury in dark brown leather, a colour which I personally like better than the black and a colour I will be able to wear more often. The shoes are in stock so are brought out shortly and carefully put on. They fit perfectly and after trying on a size 9,5, just to make sure, I decide to take these beautiful Tetbury shoes in size 10. 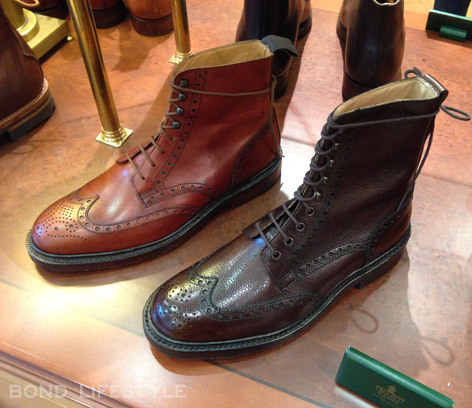 The rubber soul is very sturdy and will last much longer than a leather sole, but both a rubber and leather sole can easily be replaced by Crockett & Jones when the time comes. As with every fine leather shoe, it's best to store the shoes on wooden shoe trees and polish and protect the leather regularly. 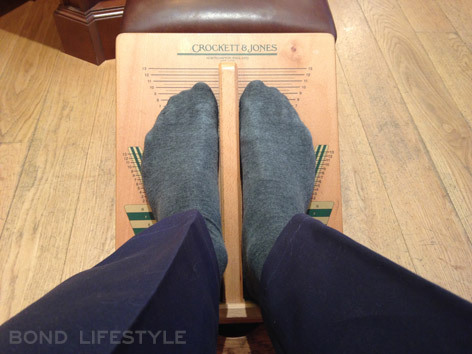 For in-depth care instructions, visit the Crockett & Jones website. After wrapping the shoes in the fancy shoe bags and box, it's time to thank the helpful and kind people of Crockett & Jones and step back into the bustling streets of London, carrying the green Crockett & Jones bag with what must be my new favourite shoes! 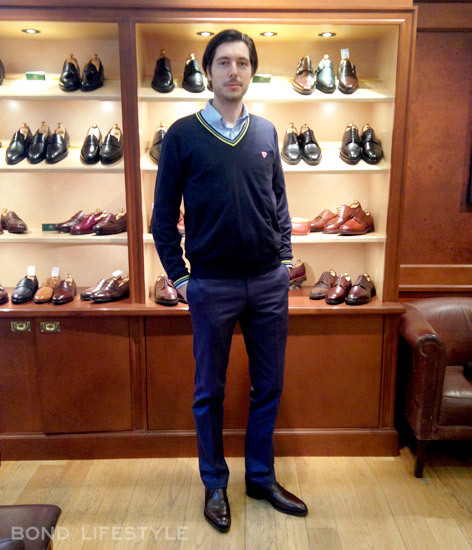 When you are interested in getting a pair of Crockett & Jones shoes yourself, it is recommended you visit one of the shops in London, Birmingham, New York, Paris or Brussels, where Crockett & Jones is able to offer your the expert personal attention which ensures that your choice of shoe fits perfectly. Crockett & Jones holds detailed size and fitting records of all its regular customers, which helps to verify the exact size requirements. If you are unable to visit one of the Crockett & Jones shops, they offer a comprehensive mail order service for purchasing Crockett & Jones shoes, belts and accessories. 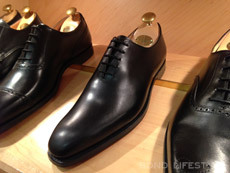 Through this service you may also return shoes to Crockett & Jones for a full repair at the factory. 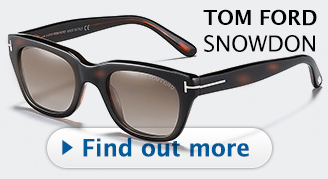 If you want to find a stockist near you, contact Crockett & Jones here. I thought i would inform you that the tan boots next to the dark brown Islay are actually a different boot called Skye which have a 335 last as you can see from the toe. Thank you, Ross. 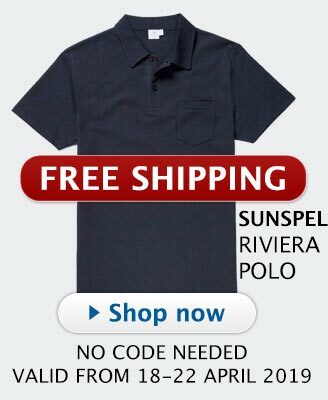 You are right of course. I have updated the text. I have a number of Crockett & Jones shoes, ordered by mail which was seamless and great customer service. I have to say C&J's are the most comfortable shoes I own and if you are purchasing a pair please spring for the C&J shoe care kit and appropriate shoe trees. 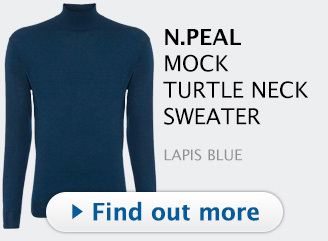 Great review Remmert. One of these days we are bound to bump into each as we basically are doing the same things, but currently at different times! Enjoy.